The votes have been counted; the winners and losers of the Alaska 2018 general election are known — except in one Fairbanks House district where the Democratic and Republican candidates are tied. While elections officials unravel the tie, let’s take a walk deep into the electoral weeds. According to the Alaska Division of Elections, turnout was 49.80 percent, placing Alaska in the middle of voter participation among the 50 states and the District of Columbia. The four states with the highest turnout were Minnesota (64.2 percent), Colorado (62.7 percent), Oregon (61.6 percent) and Wisconsin (61.2 percent). The four with the lowest were Louisiana (43 percent), Arkansas (41.4 percent), Mississippi (40.7 percent) and Hawaii (37.3 percent), according to Professor Michael McDonald of the University of Florida’s U.S. Elections Project. Minnesota has a long history as a high-turnout state. But it's surprising to see Hawaii at the bottom of the list. The explanation probably can be found in two fundamentals: Hawaii is a one-party state - Democrats win about every major election - and Hawaii has many part-time residents and residents who retired from the mainland who infrequently develop ties to the local civic culture. Alaska’s turnout was the lowest in the past 20 years. In 2014, the most recent election in which presidential candidates were not on the ballot, the turnout was 56.08 percent. Why the poor turnout in a year of fervid national political activism? We don't have a poll of Alaskans who didn't vote to inform us. We have to engage in informed speculation. The state of Alaska now has a policy by which when you register for the Alaska Permanent Fund dividend, you become a registered voter. It may be that a large number of people who want the dividend have little interest in voting. Moreover, three of the four House districts with the lowest turnout among the 40 districts have a significant military presence. House District 2 (Fairbanks, 33.4 percent) has Fort Wainwright, where the turnout was 5.58 percent. House District 13 (Anchorage, 39.3 percent) has Joint Base Elmendorf-Richardson No. 1, with a turnout of 10.7 percent. House District 15 (Anchorage 30.72 percent) has JBER No. 2, where turnout was 7.3 percent, and District 19 (Anchorage, 35.2 percent) has four Mountain View precincts in which turnout ranged from 18 percent to 23 percent. Perhaps many military voters are deployed overseas in one of America’s endless wars or on training missions far from home. And it is very difficult to campaign on a military base. As for Mountain View, turnout has been poor there for years. It may be that people struggling to make a living in urban Alaska are too busy to think about voting. The gubernatorial election is usually the big draw. But not so much so in 2018. The race had the vibe of an election foretold. Early on, Mike Dunleavy, through fundraising and the support of independent expenditures, made himself the inevitable GOP nominee - as Mead Treadwell discovered in the primary election. Dunleavy quickly developed an issue with which to bludgeon incumbent Bill Walker: Walker cut your Alaska Permanent Fund dividend, vote Dunleavy for a bigger dividend. I met voters who had no idea what Dunleavy stood for beyond a bigger dividend. They were all in with him - although many of them must not have voted, given the turnout. Democrat Mark Begich entered the gubernatorial contest late and had no chance of winning without a dramatic shake-up in the race. 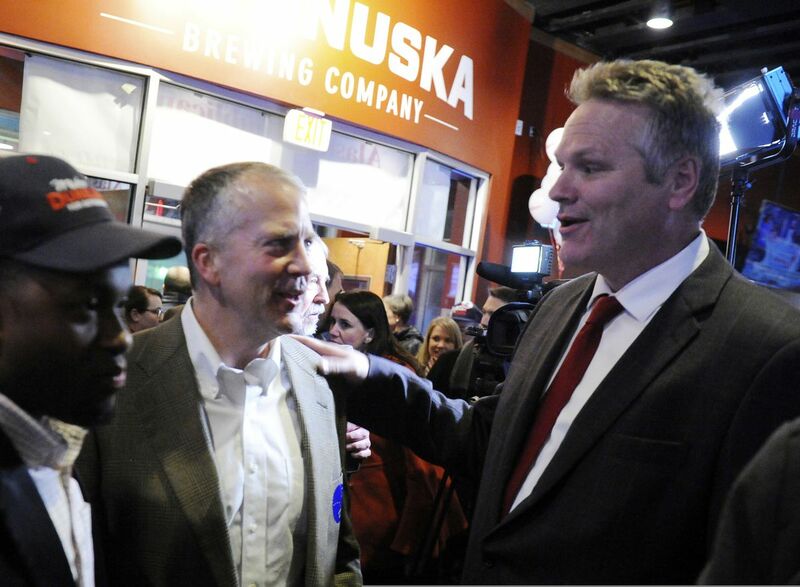 A shake-up came in October - but it finished Walker, not Dunleavy, as Lt. Gov. Byron Mallott was forced to resign for undisclosed “inappropriate remarks.” After Mallott’s departure, Dunleavy had the road to victory to himself - smiling, waving and giving Alaskans a two-word shout-out: Bigger checks. The ever-optimistic Democrats suffered further repudiation at the statewide level, losing the U.S. House race. Alyse Galvin was an attractive candidate but finished six points behind Congressman Don Young. Only two Democrats have won statewide elections since 1998. Tony Knowles, probably the most skilled Democrat of the last 40 years, beat disgraced GOP nominee John Lindauer in 1998 after Lindauer’s financial misconduct was exposed. And Mark Begich defeated the venerable Ted Stevens in 2008 after Stevens had been convicted on federal corruption charges, later overturned on appeal. Sadly, it takes a scandal crippling the other brand for the Democrats to win a statewide election. Alaska is not turning blue, except in occasional pockets. We don’t have enough highly educated, highly innovative, highly secular, affluent professionals of the stripe who dominate Portland and Seattle elections to change the outcome in statewide tundra contests. Snow City is a café, not a precinct. If you disagree with my pessimism, review the election returns for the Kenai Peninsula, the Matanuska Valley, Eagle River, North Pole and up and down Alaska’s highway system. Where Alaskans wear Carhartts, the Last Frontier is as red as fresh blood and reliably Republican as far as the eye can see.